LuLu's Hot Trot for ARC 5K Run/Walk is a fundraising event conducted by the Robertsdale Rotary Club, through the Robertsdale Rotary Foundation. The event will be held Saturday, 6/15/19, 7:30AM, at LuLus in Gulf Shores, AL. Packet pick up will be held at Lulu's on Friday afternoon on June 14. All net proceeds are donated to the Association for Retarded Citizens of Baldwin County. Course is flat, quick & certified. Stay with a Team that’s Dedicated to Your’s! From one bedrooms condos to homes accommodations up to 42 people with ease, find your perfect property with Kaiser Realty by Wyndham Vacation Rentals today. Three night minimum stay required. Nightly rate does not include taxes or additional fees. Rates are subject to change without notice and will depend on individual unit selected. Rate Restrictions: Rates based upon availability and are subject to change at any time. Quoted rates do not include tax. If you need 5 or more rooms per night, please call the hotel directly and ask to speak with Sales. Come run with the sand in between your toes and the salt in your nose at the beach! 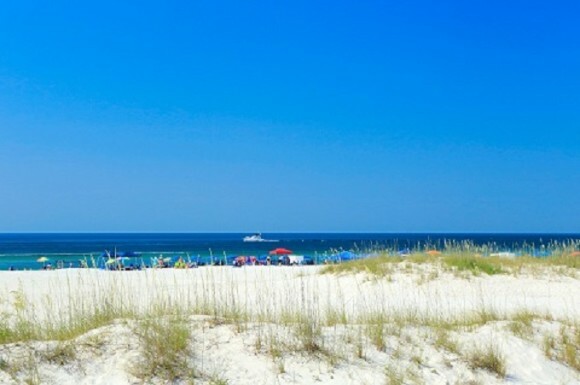 It is our pleasure to welcome all Track & Field participants to our beautiful beaches of the Alabama Gulf Coast. Located directly on the beach, all of our spacious guest rooms feature a private balcony, mini fridge, microwave, Keurig coffee maker, iron, ironing board, and hair dryer, complimentary wired/wireless high speed internet, indoor/outdoor pool, 2 whirlpools, guest laundry facilities, 24 hour complimentary business center, and onsite fitness center. Rates are subject to rooms (standard inland with 1 king bed or 2 queen beds) availability and taxes. When making reservations ask for Group Code “SCR” or book your entire team online by clicking the link below. Contact Group Sales at hotel with questions. Enjoy our neighborhood from this king bedroom and the comfort of the pillow top bed at the end of a busy day. This room also includes a work desk, mini fridge, Keurig, 55-inch tv and free wifi. Enjoy the spa-like bathroom with glass walk-in shower. This standard room offering two queen beds along with a mini-fridge, Keurig, work desk 55-inch flat screen tv and free wifi. The spa-like bathroom has plenty of counter space and a glass walk-in shower. This spacious suite sleeps up to 6 people & is the perfect place for your family getaway. Two separate rooms include a King bedroom, a living room with Queen sleeper sofa and Twin bunk beds. The room also offers a mini fridge two 55in TVs Keurig and free wifi. We're having fun at the Holiday Inn Express Orange Beach and it is our pleasure to welcome all Trotters to the beautiful waters of Alabama Gulf Coast beaches. Located directly on the beach, all of our spacious guest rooms feature a private balcony, mini fridge, microwave, Keurig coffee maker, iron, ironing board, and hair dryer, complimentary wired/wireless high speed internet. We also have an outdoor pool, whirlpool, guest laundry facilities, 24 hour complimentary business center, onsite fitness center and beachfront poolside bar (seasonal) When making reservations ask for Corporate Code 100224694. For groups of 10 or more, contact the Sales Manager, Leslie Haley at the hotel directly at 251-974-1634 or you can e-mail at [email protected] for the best rates and availability. Earn IHG Business Rewards Points! Earn 3 points per $1 spent within a group or meeting booking with no minimum qualifying spend to earn points! Please visit holidayinnexpressorangebeach.com or call 1-800-HOLIDAY and book. Rates Starting at 370.00 Enjoy the experience of a life time at the islands only Full-Service Hilton Hotel! From sitting on your private balcony over looking the sugar white sand and turquoise waters of the Gulf of Mexico to dining at our Full-Service restaurant. We provide Luxury in paradise, with our award winning culinary team and our touch of genuine southern hospitality. Join us in paradise and let's create memories that will last a lifetime!! !